Teddy bear jar favors...the possibilities are endless! Each 3.5" x 2" glass jar favor is shaped like a cute teddy bear topped with a screw-on lid suitable for easy application of the personalized label of your choice. Label not included. 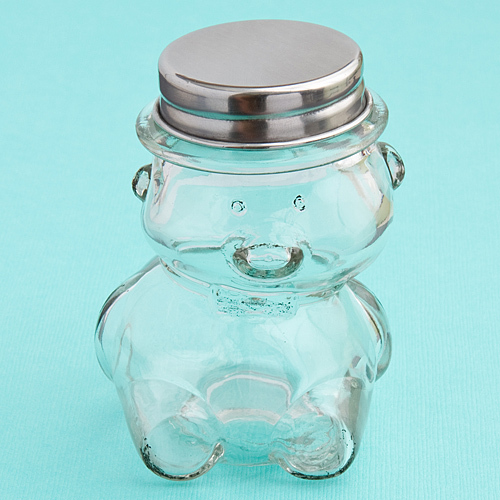 Sold bulk packaged, these teddy bear jars are sweet as honey!